Merci Maman Personalised necklace & Giveaway!!! There is nothing I love more to receive as a gift than jewellery. 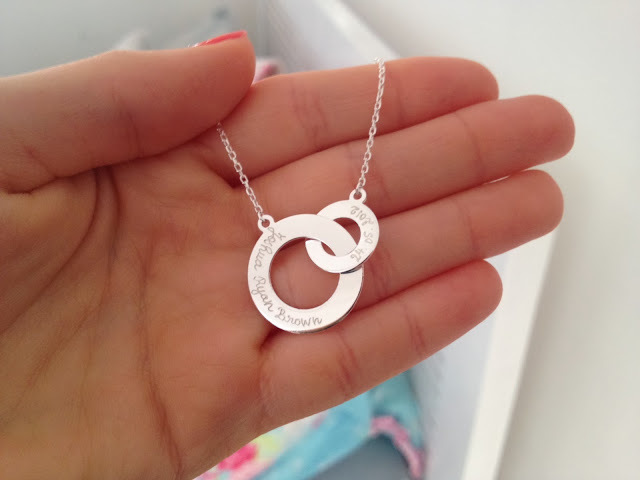 Especially when the piece of jewellery you receive is unique and personalised to you, that is where the lovely people over at Merci Maman come in. Merci Maman is a beautiful online personalised gift selling website founded in 2007 by a lady called Beatrice who’s aim was to make a website where you could find charming unique and carefully made gifts which you can find more info on here on who they are and more on what they are about. 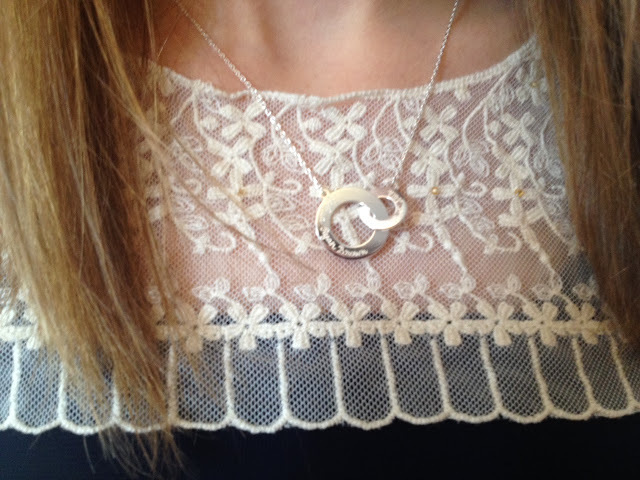 I was luckily enough to be sent a beautifully hand made intertwined sterling silver necklace which I absolutely adore. When it arrived within 2-3 days after we spoke and decided what to have engraved on there (I opted for Joshua’s name and birthday!) I was so excited to open it. 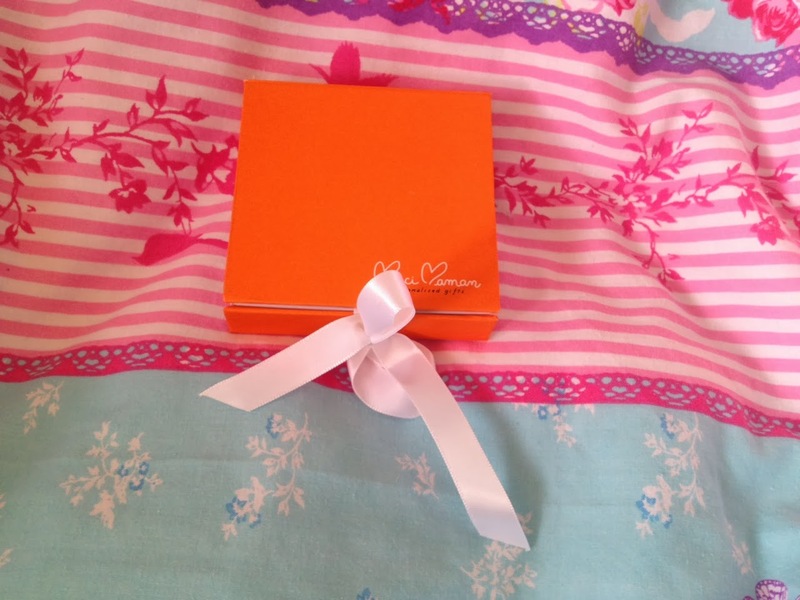 The gift box’s they use are so lovely and such a nice touch, a lovely bright orange box perfected off with a big white satin bow. They look really professional and the necklace sits so beautifully inside. As soon as I saw the necklace I fell in love, the detailing is so perfect and neat it’s super shiny and looks absolutely beautiful when you wear it. I haven’t taken it off since receiving it and I have had so many people asking me where to purchase one and telling me how lovely it is. The whole reason behind this piece is to show the unbreakable bond between mother and baby or any kind of relationship at that matter, you don’t have to be a parent to own one of these it would be a thoughtful present for any member of your family especially coming up to Christmas. ‘This chic necklace has a unique design with a modern edge. It is ideal for everyday wear and perfect for a stylish, contemporary woman. 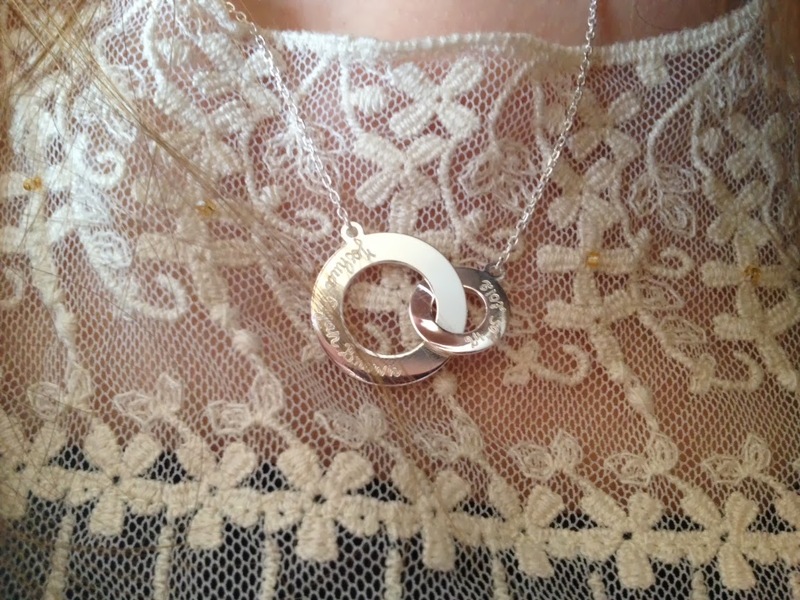 This distinctive necklace is comprised of two intertwined sterling silver circles on an elegant chain necklace. The circles can be hand-engraved with Merci Maman’s signature French cursive handwriting, adding originality and sentimental value. If you’re looking for a beautiful gift for the woman you love, this wonderful necklace is ideal. The necklace feels so solid and sturdy, you can tell it has been made with such care and patience and that they work so hard on each individual piece which is why I love it so much, there company is so lovely and all there products are beautiful and very well thought of. 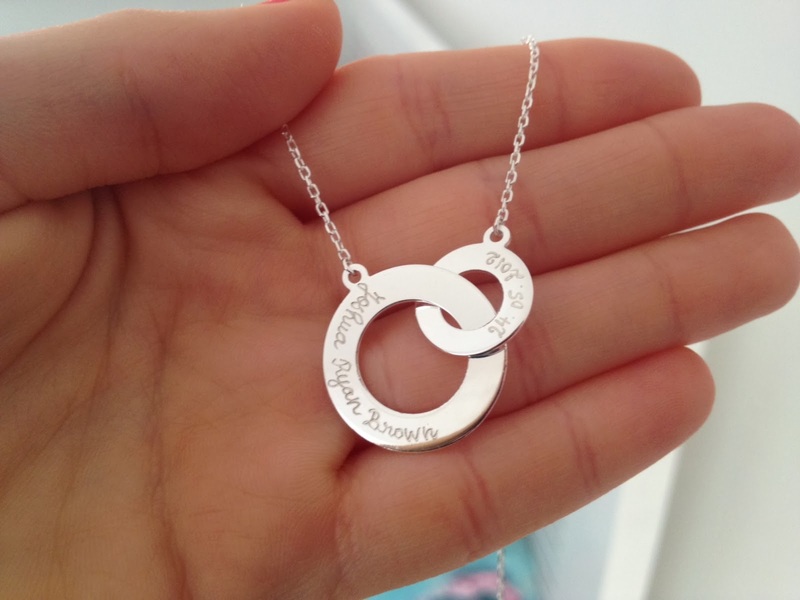 If your not a necklace wearing kind of girl (or guy they do stuff for you men too!) they sell these in bracelet form, and other forms of necklaces/bracelets/key rings they really are a talented bunch! 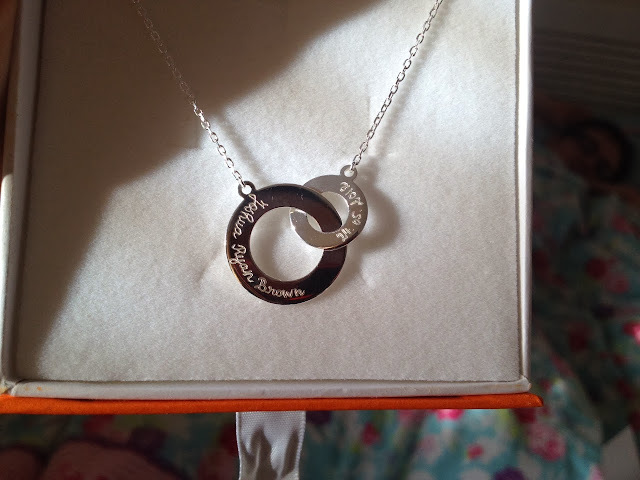 So not only did I get to receive such a beautifully designed necklace the lovely people over at Merci Maman have given my readers a chance to own one too! How amazing are they? All you have to do is make sure you follow my blog over on bloglovin/google reader and follow the steps below on rafflecopter. I hope you enjoyed this review and maybe you should leave it open as a little hint to a loved one this christmas as you won’t regret it. Don’t forget to check out there amazing website here and let me know if you pick up anything. The silver is super pretty and i’m not normally one to wear silver! Such a cute piece of jewellery!